Do you feel out of balance? Would you like the ability to control your stress levels? Do you have trouble sleeping because your mind will not stop? If you answered yes to any of the above, meditation may be for you. Imagine feeling calm and centred with a clear, focused mind. Meditation has been practised for thousands of years and has been proven to help many people in various aspects of their lives. Holistic healing expert Ron Wilding, who has practised meditation daily for about 60 years, believes that 10-15 minutes of meditation can be equivalent to 2-3 hours of sleep. He claims this is due to your brain wave frequency slowing down to the alpha/theta levels, whilst in a meditative state. It is in these brain wave frequencies that healing takes place, the body rejuvenates itself and your imagination and memory is enhanced along with your creative abilities. 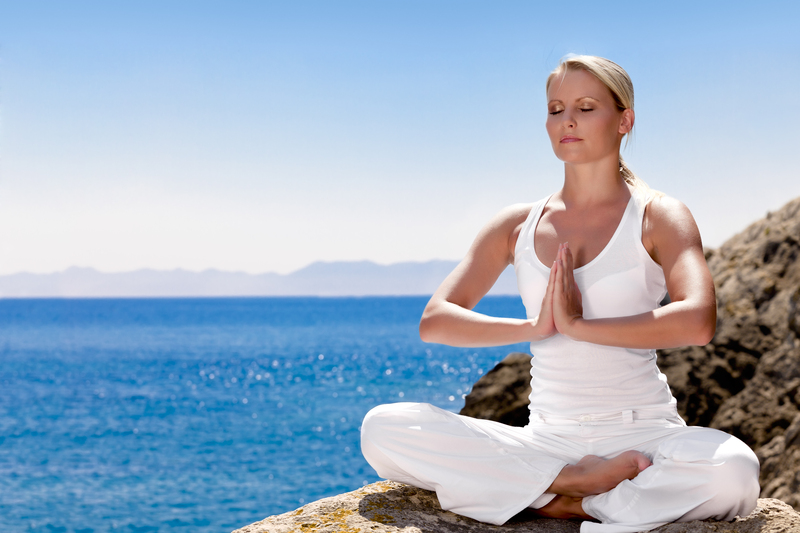 Stress dissipates in this state of mind leaving you feeling calm, peaceful and relaxed. There are four brain wave levels, beta, alpha, theta and delta. Beta is a conscious state of mind, whilst alpha, theta and delta are altered states of consciousness in the subconscious mind. Children function mostly in the alpha, theta and delta levels, whilst adults function mainly in beta. In beta the brain wave frequency occurs at 14-30 cycles per second, the fastest of all levels. In this state our nervous system is active, awake and busy. Stress generally occurs at this level. The alpha level is 8-13 cycles per second. Theta is 4-7 cycles per second and delta which occurs in adults whilst sleeping is the slowest brain wave level, at 1-5 cycles per second. If you have never meditated before, you may want to check out my 9-minute and 30-minute 'Guided Rainforest Meditation' CD available in hardcopy and MP3 Audio versions here https://lovelta.com/shop/ from as little as $10. You will also find groups that run meditation classes in your local paper or you may want to go on a meditation retreat. A retreat to check out is the Vipassana Centre, which is situated in every state. The centre is a non-profit organisation, which runs three and 10 day courses, with no set fee for accommodation, donations only with the vegetarian meals included in your stay. Expenses are met through donations given by students. For details go to www.dhamma.org/ or phone (07) 5485 2452. Another centre is Chenrezig Institute, which is situated at Eudlo on the Sunshine Coast. Here you can stay as long as you like, with day and weekend courses on offer. Accommodation is from $25 p/night for a motel room and up to $60 p/night for a fully self contained cabin. Meals can be purchased from the on-site cafe. Chenrezig Institute is less structured compared to Vipassana. You can do as little or as much meditation as you like, in the tranquil surroundings of one of the largest Tibetan Buddhist Centres in the western world. You can communicate or socialise with other guests except when you are in the mediation hall. At Vipassana, if you think you are going for a holiday you are mistaken. It is an inner journey of the self where you do not talk to anyone for 10 days and meditate for approximately 10 hours a day. I have experienced both centres and thoroughly recommend them. My Vipassana experience was deeper as the meditation and course structure was more intensive, disciplined and internalised. At the end of the course, I felt I could achieve anything with a true sense of detachment to the outcome of anything and just being present in each moment. The experience is like watching a movie of your life, where things you thought you had dealt with come to the surface to be released. The aim though, is to simply observe these feelings or sensations no matter how pleasant or unpleasant and without being attached to, or craving a certain outcome or sensation. This training of the mind helps you deal with situations that surface in your everyday life. Meditation retreats are like an un-cluttering or spring clean of the body, mind and soul. Spending time in nature with kangaroos, ducks and other wildlife, you cannot help but feel a deep sense of peace within and an affinity with nature. A truly empowering experience! I have created a beautiful meditation cd just for you called, ‘Guided Rainforest Meditation’. You will experience profound shifts in the way you think and feel. Inducing a sense of inner peace and tranquillity along with the ability to cope better with whatever life throws at you. Go to the products store to check it out! Yes! Please show me the Guided Rainforest Meditation!